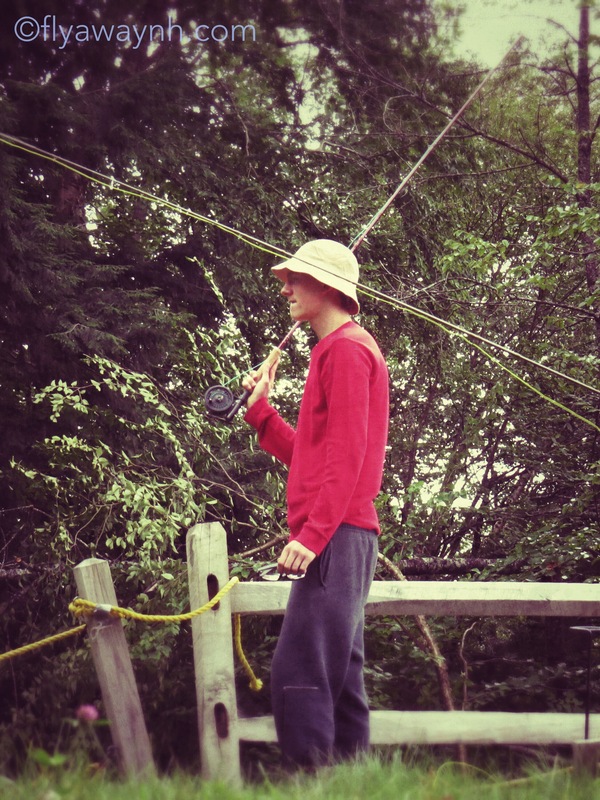 It wasn’t until recently that I came to understand just how unfairly the decks are stacked against the trout that keep me out in waters beyond the point of reason; unyielding to hunger, discomfort, or lack of appropriate lighting. In fact, the specialness of water capable of supporting trout other than those raised and relocated by government entities is, sadly, an anomaly that is hard to truly comprehend unless you are in the business of science. For those of us who are not scientifically inclined, we may learn the value of healthy waters through our relationship with fish. Where are they? Why are they there? If they are there, then why aren’t they here? 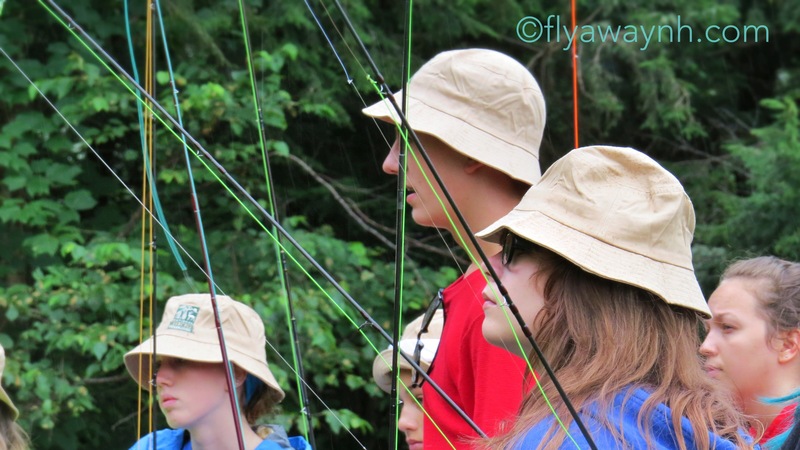 Learning to how find an audience for your fly is the obsessive (yet strangely soothing) mental troubleshooting that draws many of us to the past time of fly fishing. It is the fish that teach us… every failure, success, and unexplainable lucky happening. And I wonder, what if I had never come to the water? How did I come to strike up a friendship with these trout? 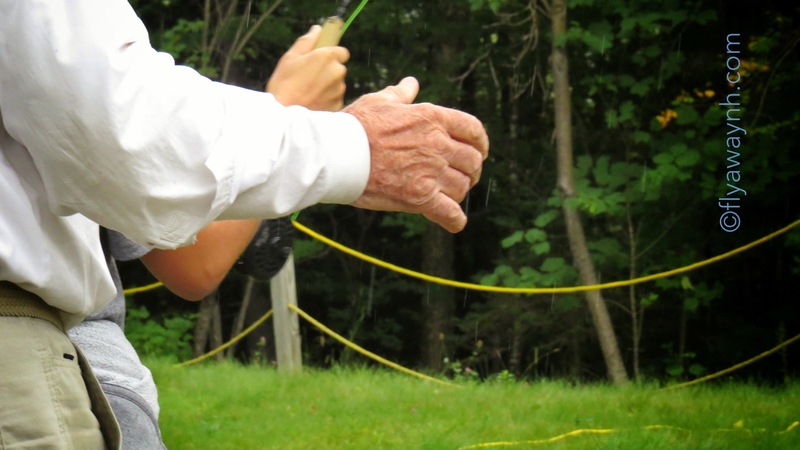 It was my Dad’s experience of fly fishing that brought me to the water. This is not a story of….”as a young girl, I remember long days on trouted ripples with my father, casting in seesaw like alternating rhythm. You, me, you, me”…nope. I just figured that if it was something my Dad spent his time doing, its probably something worth doing. So, on my own, I made my way to the water and began the process of figuring out how to get a fly somewhere it looked like it ought to be. And given modern culture, this is probably a common scenario. I mean, most of us don’t grow up with nightly fishing opportunities with our extended families at the trout stream down the road. If you are fortunate enough to live close to a water body that can support trout, it’s likely you live rurally which translates to 60 hour weeks at low paying jobs. 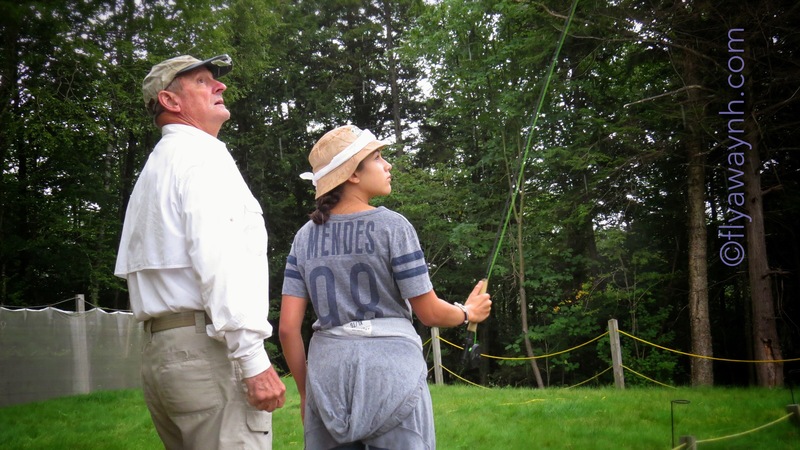 So getting to the water in the company of a parent or influential adult is still an endeavor that requires planning and sacrifice. But, as my experience demonstrates, the absence of being engaged in the actual activity with that influential adult does not negate the influence of relationship. The simple act of dedicating attention to any given idea, activity, or belief has a legitimizing effect that can have profound influence on young people when conveyed in the context of a safe, predictable relationship, no matter how brief the exposure. It’s a sort of human version of “catch and release”. 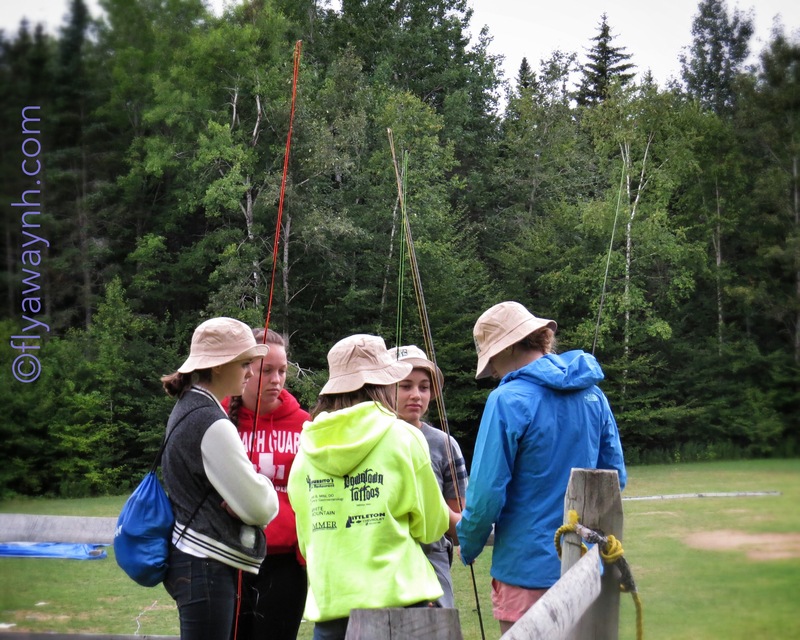 This month, I was invited to attend a summer camp experience provided by the “Clean Water Healthy Trout Initiative”. This endeavor is an example of resources collaborating to capture and leverage the power of relationship in the lives of young people who may face socioeconomic challenges. Each organization brings a critical component to the project ultimately creating a pristine learning environment. The Copper Cannon Camp provides the habitat that is conducive to growth, understanding the unique needs and strengths of its population. 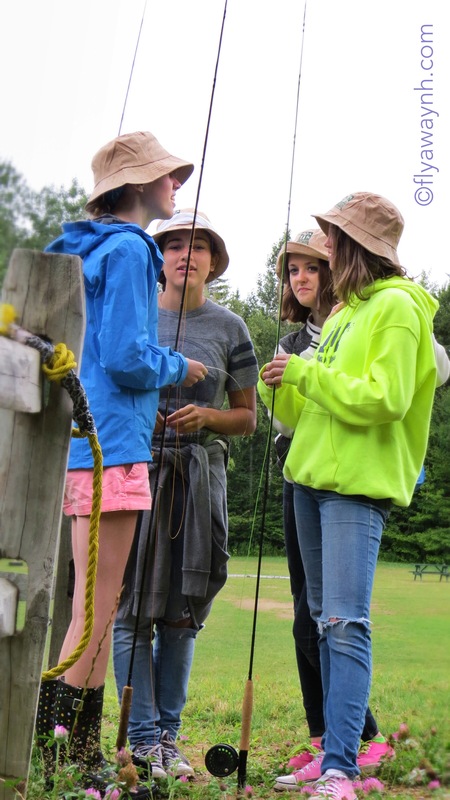 Folks from the Ammonoosuc Chapter of Trout Unlimited, Plymouth State University, New Hampshire Fish and Game, and the Ammonoosuc Conservation Trust are providing the relational context for instruction and introduction to all of the “goings-on” of rivers . All of these folks are providing the brief relational experiences that have the power to bring these campers to water’s edge at some point in their lives. 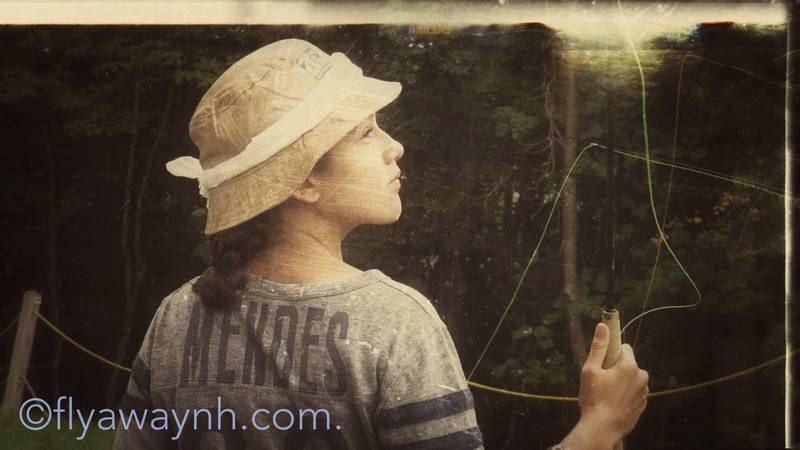 Whether to cast with their first fly rod, to peer deep into a pool for a glimpse of a swimming fish, or to pause and conduct an amateur assessment of the water quality…these interactions have planted seeds that have the potential to influence future attention and behavior. 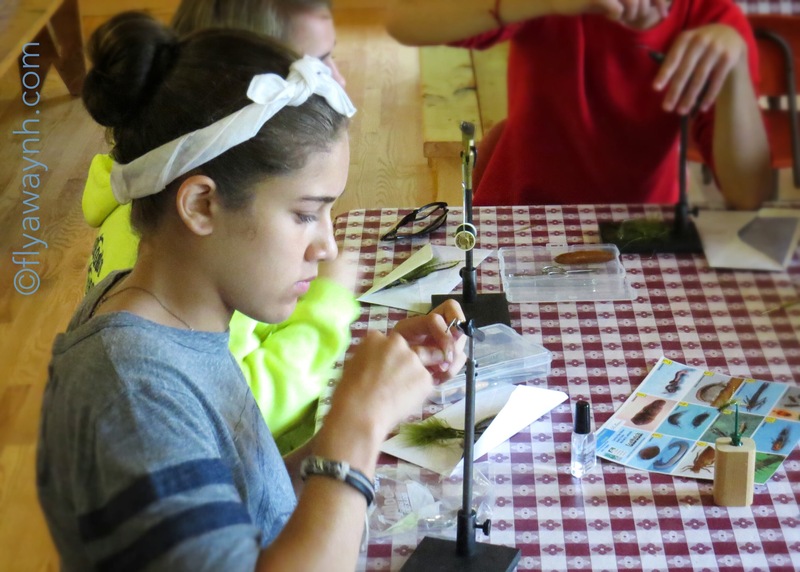 And for some of the kids at camp this session, a seed may be the equivalent of a tree itself. What you wrote is great! I sent a copy to Rachelle, Dianne and Mike. Many thanks! Thanks for the opportunity, Art. And above all, thank you for your dedication to making good things happen. I know it involves a lot of hard work. Thank you for so eloquently capturing the power of what happened at Copper Cannon Camp that day. Thank YOU for your hard work and creativity, Rachelle. You have helped to make a wonderful place even more diverse and relevant. Thanks so much for all your work that day,stellar pics! That Mendes shot at the top is SUPER!